I find myself conflicted about the Torq Roadster. 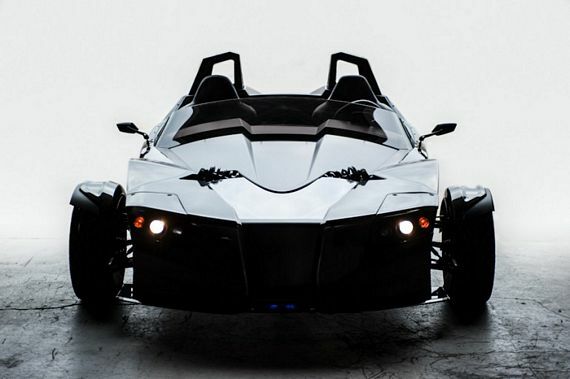 On the one hand, it looks like a Batman vehicle. On the other, it looks like Batman’s tricycle. And I am not sure if a tricycle goes with the whole Caped Crusader persona. 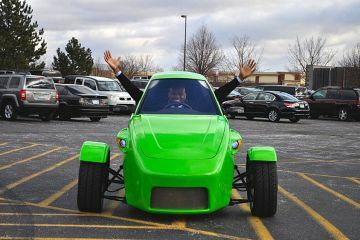 Made by Epic Electric Vehicles, I’m not completely sure whether it’s supposed to be classified as a motorcycle or a car. 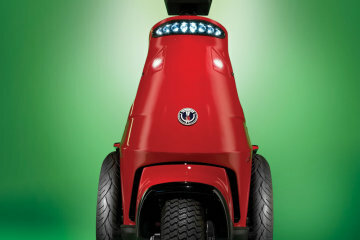 It looks like a tricycle (two wheels front, one wheel rear). And is being billed as “the electric car re-invented,” so I don’t know. 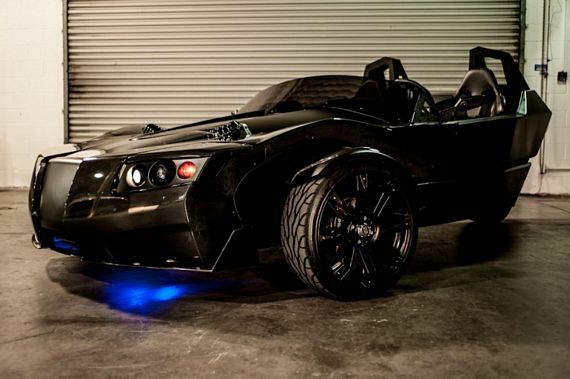 The Torq Roadster is a street-legal, two-seater vehicle powered by a 300 kw electric motor with over 600 pound-feet of torque. 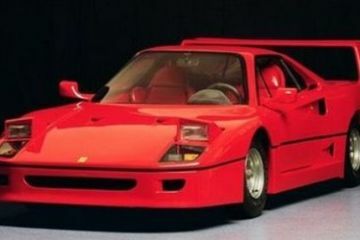 As you can probably guess, that makes for some serious acceleration, allowing it to go from 0 to 60 in just 4 seconds. Designed for performance, it has a track width of 80.5 inches to help you clear corners swiftly. Features include precision-engineered suspension, carbon fiber body panels, high-performance cam suspension, Wilwood 4-piston brakes, and a Flux Power battery module (24 to 34 kwH). 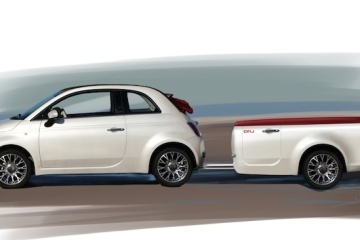 According to Epic EV, the biggest battery pack should allow it a range of over 100 miles on a single charge. 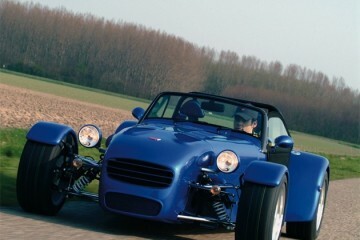 From the front, this front-wheel drive mutant of a ride looks like an actual car, with its wide track and car-like face. 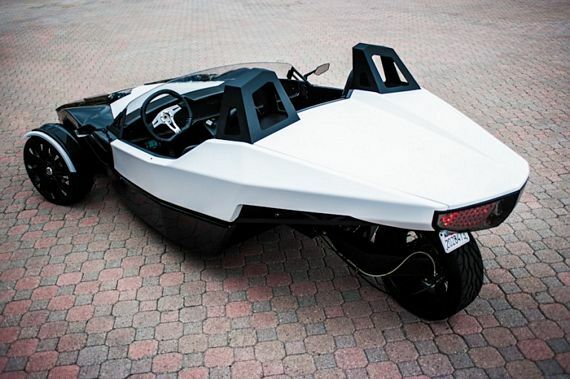 From the rear, the thing looks more like a speedboat than either a car or a motorcycle. So, again, I’m really conflicted. 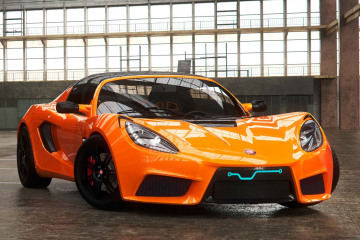 Epic EV is already taking orders for the Torq Roadster, with a planned production run of approximately 50 units this year. Price is $65,000.